It is day 4 of my blood cleanse and the day is almost done! I am happy to report that I am still alive! I have had some mild pains. For example, on both day 3 and 4 I woke up with mild pain on the lower right side of my back and have had a slight headache but nothing compared to the headache Peyton Manning woke up with this morning; YIKES! The tea tastes much stronger… The ingredient I taste the most is the Red Clover but it is still palatable. I have noticed that I’ve been going to the bathroom more frequently but perhaps it is because I am drinking more water than usual. (I normally drink ½ my body weight in ounces but I am drinking more!) So far… Easy Peasy! 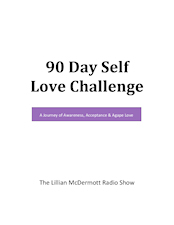 So talk to me, listen and we will all learn together… The Lillian McDermott Radio Show ~ Saturday, from 12 pm to 2 pm ~ On “The Talk To Me Station” AM 1300 WMEL & Worldwide on www.WhenYouNeedaFriend.com.